Sylvia Edwards has been with our practice since 1990, and has become beloved by generations of patients over the years. 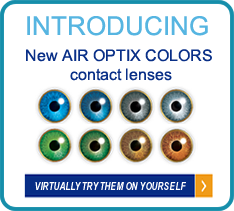 She is a ABO certified optician, and can handle just about anything you might need. 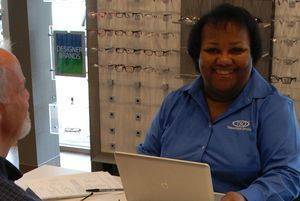 She is a customer service specialist, and excels at helping find the right frame for every face, as well as the right lens for every prescription. Sylvia is excellent at fitting and adjusting eyewear, and can be very creative with eyewear repairs. Also, when a patient is struggling with learning how to insert and remove contact lenses, Sylvia has remarkable patience and fortitude, and has helped many people who were about to give up master the task. Her wonderful, caring personality is known to people across Southeast Texas, and she enjoys talking and laughing with her patients while helping meet their eyecare needs. In her spare time, Sylvia enjoys listening to and collecting music, especially Classic Rock. If you ever need a phone a friend for a musical question, Sylvia will more than likely have your answer.